Hosted by the Guangdong Association of Environmental Protection Industry, Messe München, Messe Muenchen Zhongmao Co., Ltd., IE EXPO Guangzhou 2017 -- - the third International Environment Exhibition of China, Guangzhou has a grand opening in China Import and Export Fair Complex on September 20, 2017. 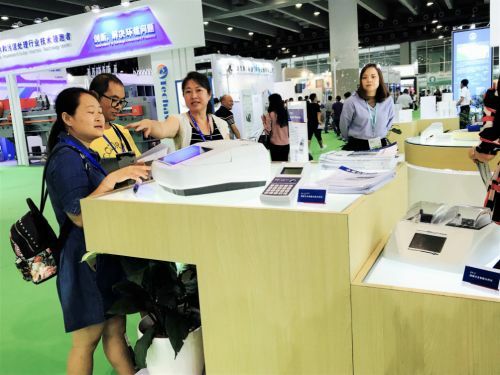 The three-day exhibition with an area of 30,000 square meters brings together 450 high-quality exhibitors from more than 20 countries and is the largest environmental exhibition in south China. The exhibition sets up: water and wastewater treatment, solid waste treatment and recycling, air pollution control, environmental monitoring and testing, soil restoration, innovative technologies and solutions, countries and regions pavilion totally 7 zones, ZIMEX with advanced German water quality analysis products, was invited to debut IE EXPO---water and wastewater treatment zone. 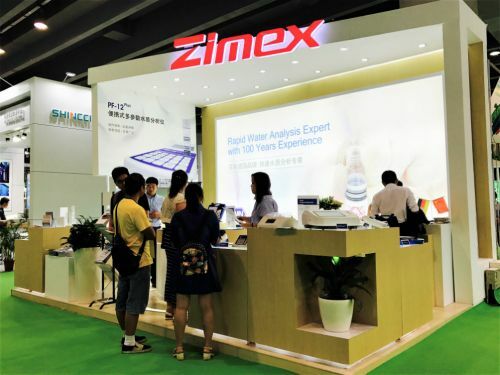 After years of exploration and development in the field of environmental protection, ZIMEX set up cooperation with the German MACHEREY-NAGEL (MN), introduces high-quality products of environmental protection into the Chinese market and becomes the main force of environmental protection industry. 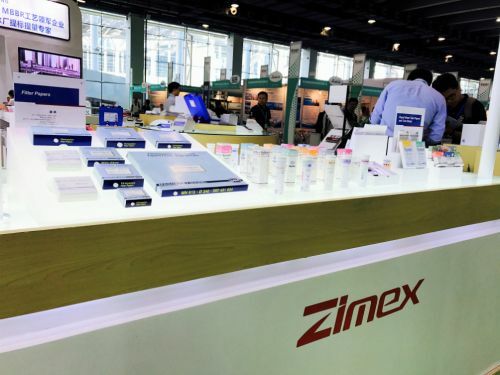 On the exhibition, ZIMEX set up 5 zones: new products, pH paper, filter paper, test boxes and instruments. 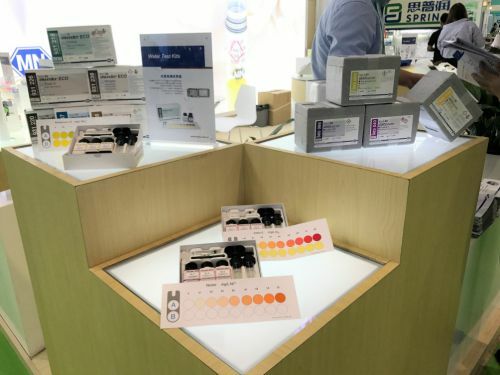 We introduce the exhibits in detail such as multi-parameter water quality analyzer, biological toxicity analyzer, all kinds of quick analysis test paper as well as the fine filter paper to the audience, which are applicable to chemical industry, scientific research, food, electroplating, metal surface processing, textile printing, dyeing and other industries. 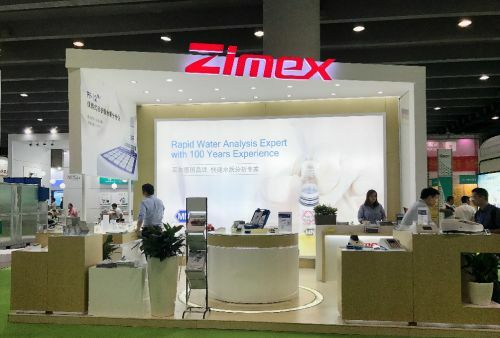 ZIMEX exhibits a big amount of environmental products with a wide range of measurements and guarantees of quality, and is praised as an exhibitor with strength, quality, and scale. 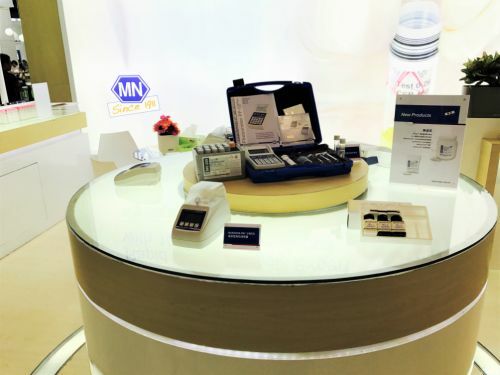 Among them, the PF - 12 Plus multi-parameter water quality analyzer thanks to its simple operation, compact easy to carry, is suitable for both laboratory and suitable for outdoor, and also can be used to test various conventional parameters in drinking water and wastewater (hardness, turbidity, ammonia nitrogen, COD, heavy metals such as copper and nickel), attracting the attention of many professional audience; NANOCOLOR® and VISOCOLOR ® series of test boxes are classic products of MN with high market acceptance and are highly valued by manufacturers; PEHANON ® series pH test papers have been patented and successfully passed, whose specialness is able to eliminate the coloration interference effectively without interfering with the determination of pH value and are widely used in industry, dairy industry, textile and other industries. ZIMEX, as a pioneer in the field of environmental protection, will continue to pursue breakthroughs and innovation, make good use of IE Expo Guangzhou this annual event, which is the best platform for communication of technology and equipment, provide users with the latest equipment and water quality analysis solutions, to promote technical exchanges and cooperation within the environmental protection industry and to add strength to China's environmental cause. On September 20-22, in China Import and Export Fair Complex pavilion 9.2 on stand A489, ZIMEX looks forward to your visit!